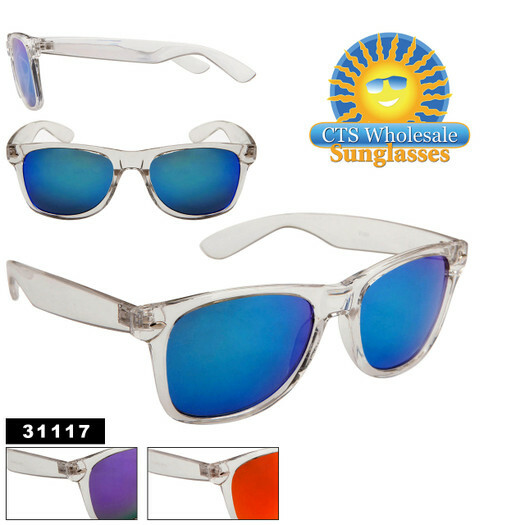 Top Selling Sunglasses: What Sold Best at Cinco De Mayos Event - CTS Wholesale LLC. This year's Cince de Mayo celebration hosted in the lovely Rose City, Portland, Oregon was a pleasant break from the norm. With record setting weather boasting blue skies and warm temperatures, the festival was an unprecedented success for vendors. Amidst the revelry of a celebrated holiday, sunglasses sales spiked, with several leading styles topping the sales chart. CTS was among the many vendors embracing the greater Northwest's first ever sunny Cinco de Mayo festival. Our CEO Kirk Bachelder had the pleasure of speaking with The Oregonian's Kelly House during the festivities, as she reported on the positive impact weather had on sales this year. Pitter-patter of rain showers was replaced by warm winds and sunny smiles. The only detouring factor was that of combating the dust stirred up by happy feet beating a path to fun and games, and in some cases a new pair of shades. Among this year's top selling sunglasses at Cinco de Mayo were several surprises, along with many anticipated best sellers. For ladies, Diamond™ Eyewear gave us a breakout top seller. Model DI126 with gemstone flowers adorning the temples comes in several beautiful frame colors. Cat Eye Style #806 was a big hit too, with an extreme cat-eye frame shape, and etched flower designs. For a sportier look and feel, Xsportz™ dominated with model XS120, a metal frame sports style. This model comes in several of the most popular metal frames including bronze, silver and gun metal. All are complimented with stunning revo lens colors and mirrored lenses. Of course California Classics were a leader in sales, and this year has brought a hot new trend of clear frames with enhanced revo lens qualities. Model 31117 (shown below) features three vibrant revo lens options: an eye catching red/gold, a blue, and a purple/green, all of which flash in contrast to the clear frame. All of the top selling Cinco de Mayo Sunglasses are available online at CTS Wholesale Sunglasses. Sold by the dozen, at unbeatable wholesale prices, you'll love the revenues, and your customers will love the selection!